Autograph Letter Signed (“D. 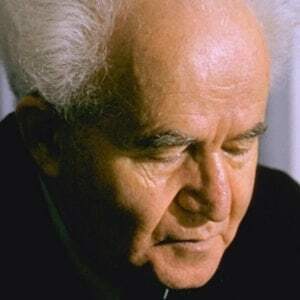 Ben-Gurion”), in English, 1 page, octavo, Tel Aviv, June 6, 1967. To Kenneth Triem in Tucson. A week ago our country was facing a grave national peril. The peril has disappeared when a few days ago a new minister of security has been appointed, and under the new leadership our army will defeat all our enemies. Public opinion says that it takes "two Arabs to equal one Israeli soldier." I can tell you: not even five Arabs can equal one Israeli soldier.